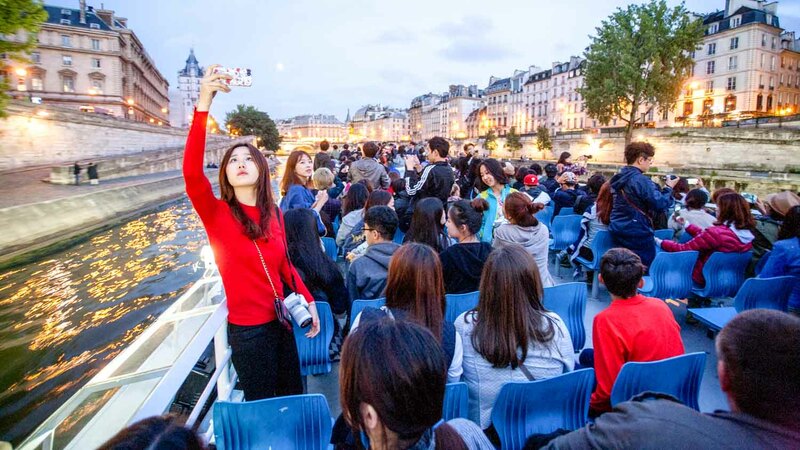 The Seine might be one of the world's most scenic urban rivers, flanked by exquisite monuments such as Notre Dame and the Arc de Triomphe. A cruise is the best way to enjoy it as long as you don't forget anything essential! Here's what to pack. Even if all's calm on the City of Love's streets, its river is exposed and highly susceptible to strong winds. Even in summer you might need a good jacket! Again, the Seine is exposed and so are you. If you're not seeing the sights by night, you'll want to see them on a sunny day. Keep yourself protected! 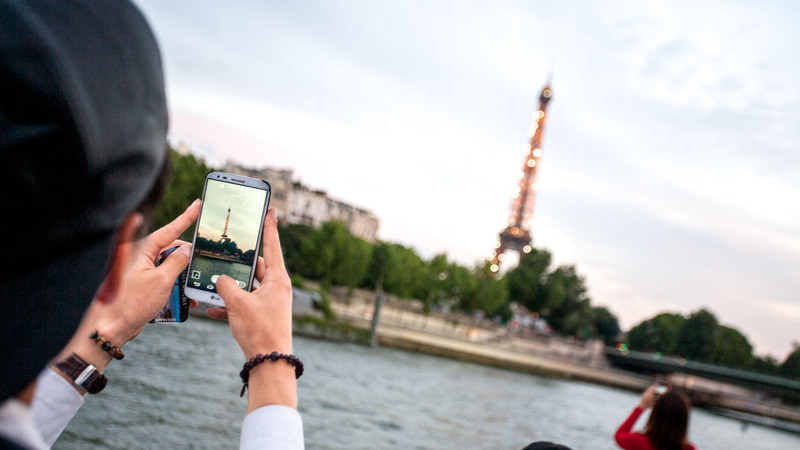 Many of Paris' most famous sights can be seen by boat, opening the door to some fantastic photo opportunities. If you have them, enhance the experience by bringing binoculars too! Unless you're taking a dinner cruise of course! But even then you should think about bringing your own water bottle. Corny? Perhaps. But hey, it's Paris! Why not check out some other tour options to round off a romantic day? 776 kilometers. Oh wait, you meant the cruise? With dinner and entertainment you could be looking at up to 4 hours, but if you don't have that kind of time to spare, the less expensive ones should only take an hour! Please check individual tour times, which vary by activity. Prices can be anywhere from €10 to €200, depending on what is included. Many tours provide narration along the way, but you may want to look online for more information or bring a guidebook. 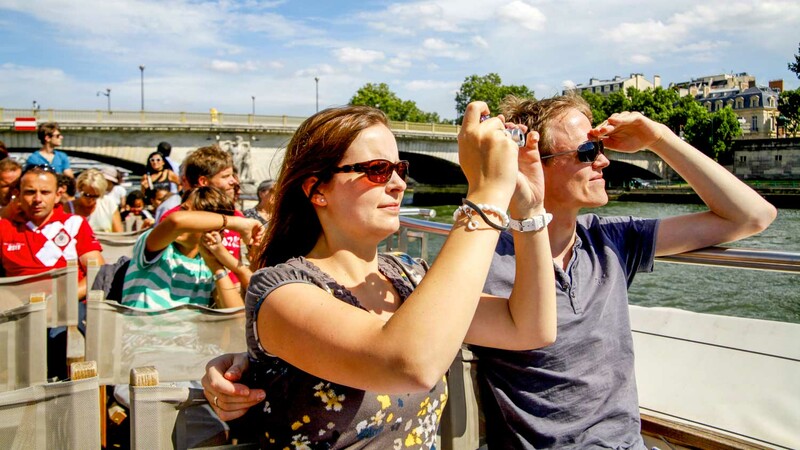 Tours start at varying locations along the river, which is dotted with other top attractions. Make sure you pack accordingly! | Plan ahead as tour prices, times and starting locations vary. Three loops in Paris provides all encompassing view of city. I was quite please with the flexibility of the schedule and appreciated the forth rightness of the agent forecasting a potential closure of Blue route due to protesters on Saturday. Though it didn’t happen an offer to add a day was very thoughtful and appreciated. 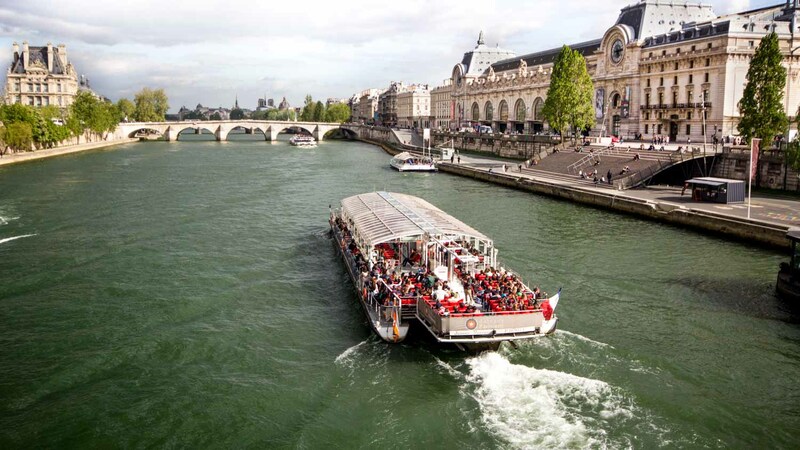 I recommend taking 3 days for Hop on Hop off and adding the River Cruise prior to evening near the Eiffel Tower. You will be thankful as we were!